Being the breadwinner can damage men’s health – but it gives women a boost. Researchers have found men’s well-being declines as they take on more financial responsibility in their marriage. Their psychological and physical health tended to be at its worst during the years where they became their family’s sole breadwinner. But taking on more financial responsibility had the opposite effect on women, who became happier the more they contributed and felt psychologically worse if their spouse was contributing more than they were. For the University of Connecticut study, researchers followed the progress of more than 3,000 married people aged between 18 and 32 between 1997 and 2011. Over the period, participants regularly had to answer questions on their emotional well-being and health, as well as detailing what income they had. They found that during times when men were the sole breadwinner in their family, their psychological well-being scores were an average of 5 per cent lower than years when their partners contributed equally. 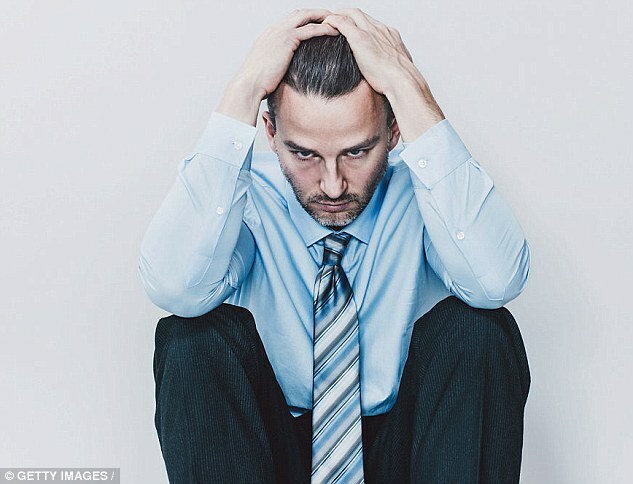 Men’s health scores were also 3.5 per cent lower on average when they were the sole breadwinner. Professor Christin Munsch said: ‘A lot of what we know about how gender plays out in marriage focuses on the ways in which women are disadvantaged. ‘For example, women are more likely to be victims of domestic violence, and they still perform the lion’s share of housework. ‘Our study contributes to a growing body of research that demonstrates the ways in which gendered expectations are harmful for men too. She said results which showed being a breadwinner had the opposite effect on women could be explained by the cultural pressures on men. ‘Men who make a lot more money than their partners may approach breadwinning with a sense of obligation and worry about maintaining breadwinner status,’ she added. ‘Women, on the other hand, may approach breadwinning as an opportunity or choice. Being in a caring, sharing relationship won’t just make you happy during the day – it could also help you sleep better at night. A study found men and women who felt loved, appreciated and understood by their other half slept more soundly. It is thought they felt so safe and secure they found it easy to switch off and slip into a deep, uninterrupted sleep. Although being a breadwinner improved women’s emotional health it had no impact on their physical health. The researchers took into account several alternative explanations, including age, education, income, number of hours worked and whether or not the couple had children – but none of these other factors could explain their findings. Prof Munsch said the results were good news as modern couples tended to share the burden of work and looking after the family. The study will be presented at a meeting of the American Sociological Association on Sunday. More women than ever are working in the UK and official figures show the number of stay-at-home mothers dropped below 2million for the first time at the end of 2015. The number of women choosing to stay at home dropped by around 3.5 per cent in a year, while the number of stay-at-home fathers rose by 3.2 per cent but is still less than 250,000. Campaigners have warned many mothers who would rather stay at home are being forced to work because of financial pressures. Blac Chyna shares beautiful picture with her kids,King and Dream.